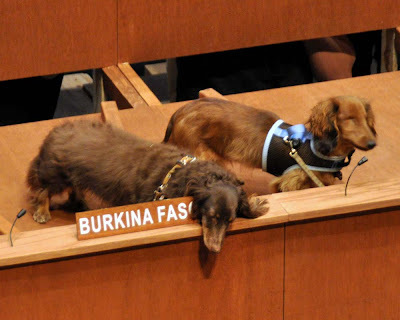 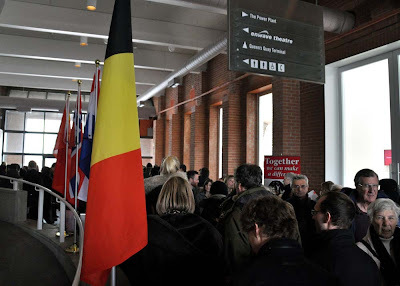 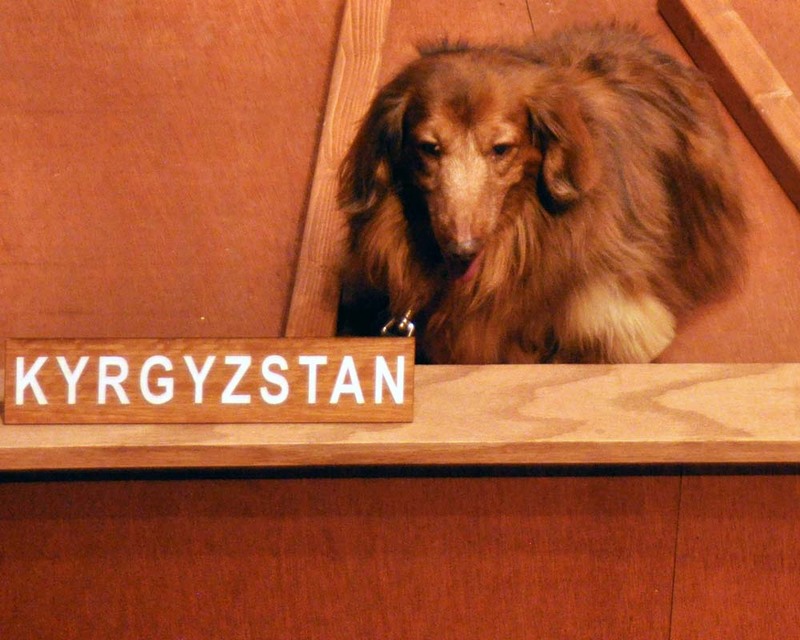 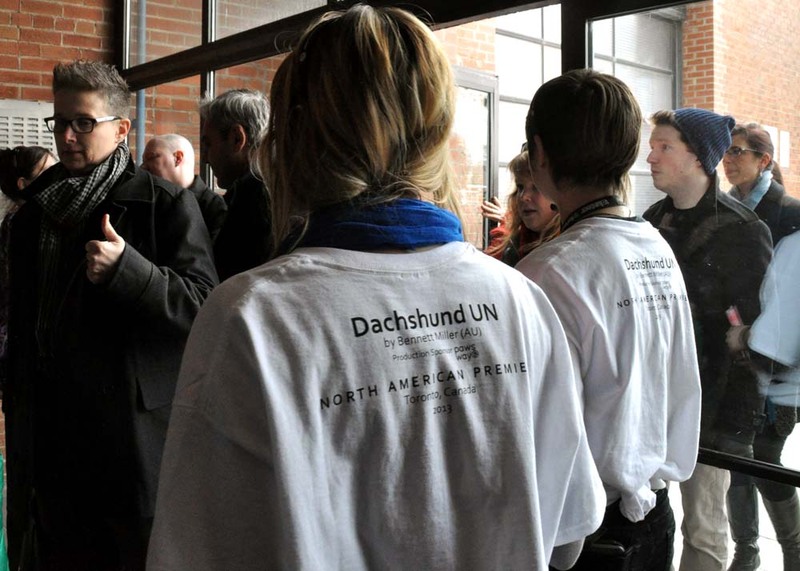 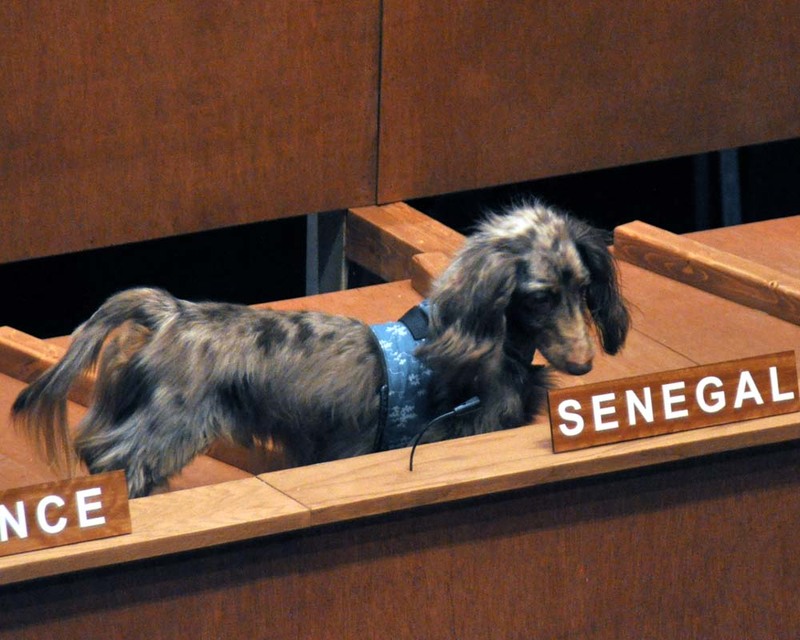 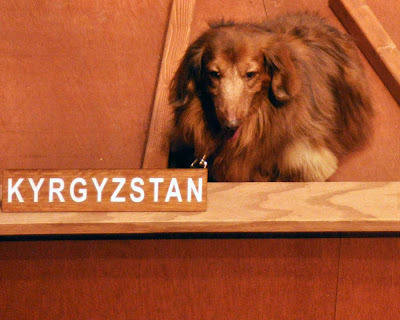 Diplomatic immunity came in handy as delegates to the Dachshund UN made a binding resolution to ban cats in #Toronto. 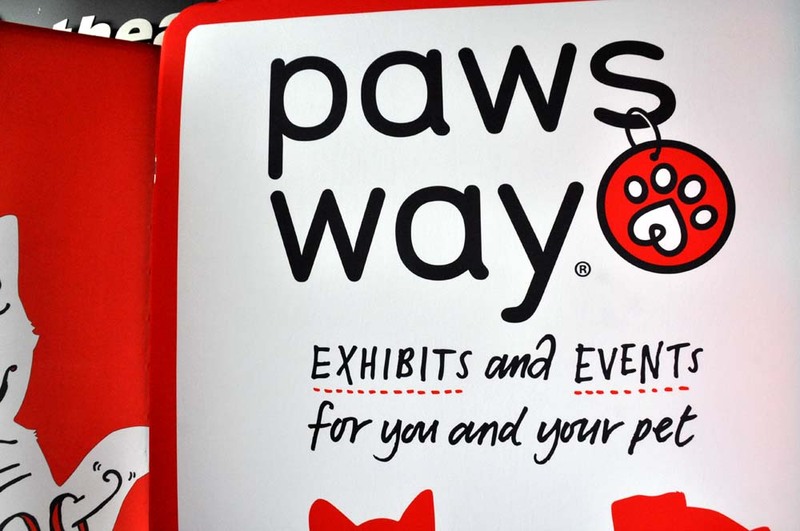 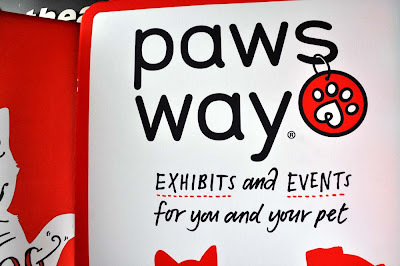 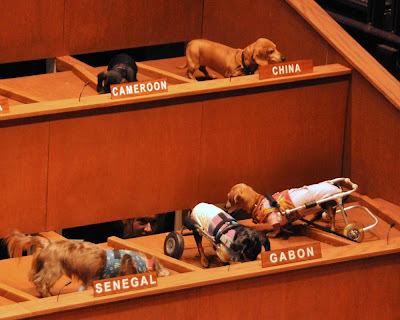 The many members of the UN did manage to keep the rhetoric down at the Harbourfront Centre World Stage performance installation by Bennett Miller of Australia, sponsored by PawsWay. 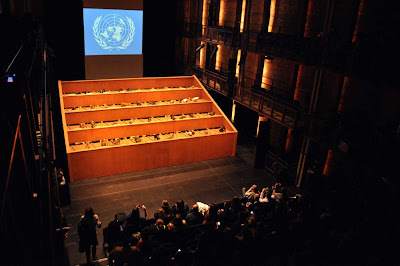 The meeting of the United Nations Commission on Human Rights did have some surprising adjustments - I think some of the delegates had countries with violent overthrows and delegates were quietly replaced. 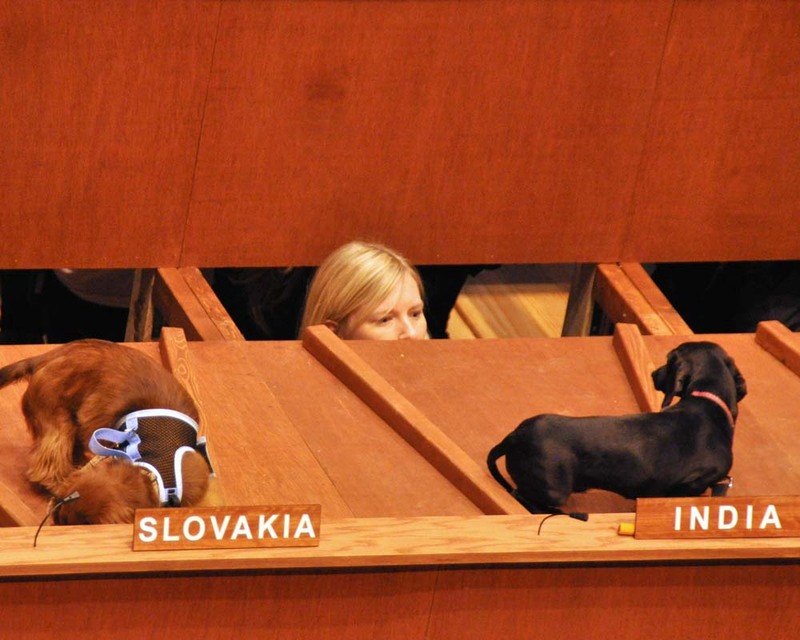 Politicians were played by over wiener dogs from Abby to Zeke. 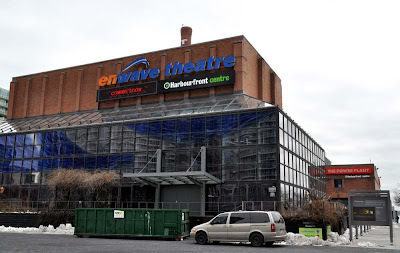 The show was free and very popular, with people lining up far in advance of the 50 minute show at the enwave theatre. 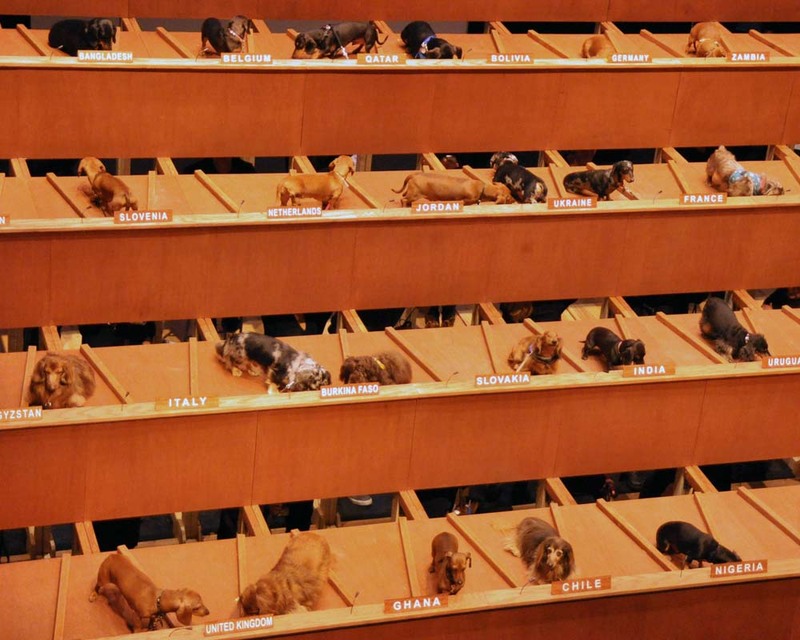 Tickets were free for the event and holders scored reserved seats. 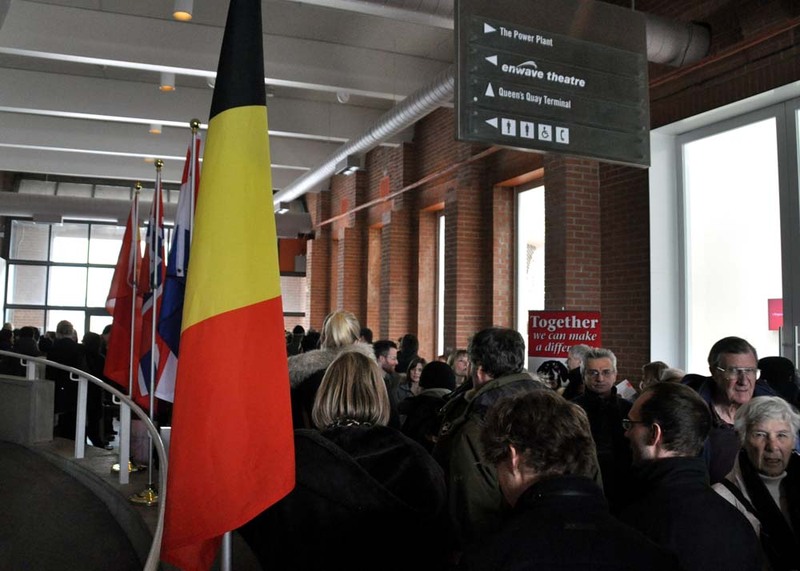 Those without a ticket had to wait in lineup and hope for the first come first served seating. 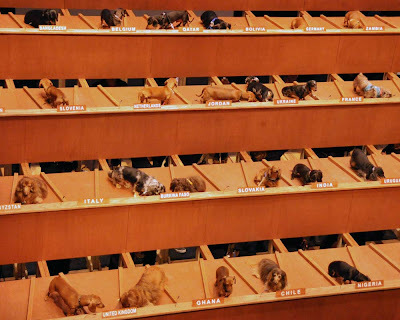 Luckily those in the show stayed for a brief but worthwhile time and filed out so others could catch the show. 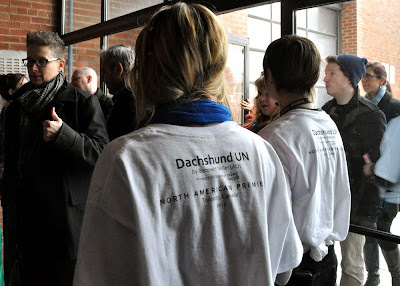 Harbourfront's program says "Dachshund UN questions our capacity to imagine and achieve a universal system of justice". 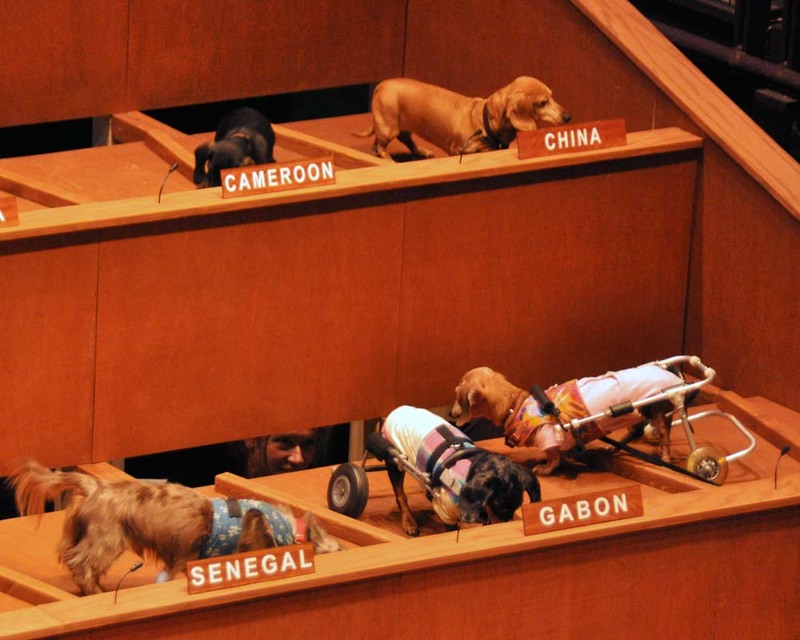 Tina Rasmussen, Artist Director, World Stage says the "Dachshund dogs have a particular and poignant relevance to this examination of one of society's most ambitious social institutions - they are the most diverse breed." 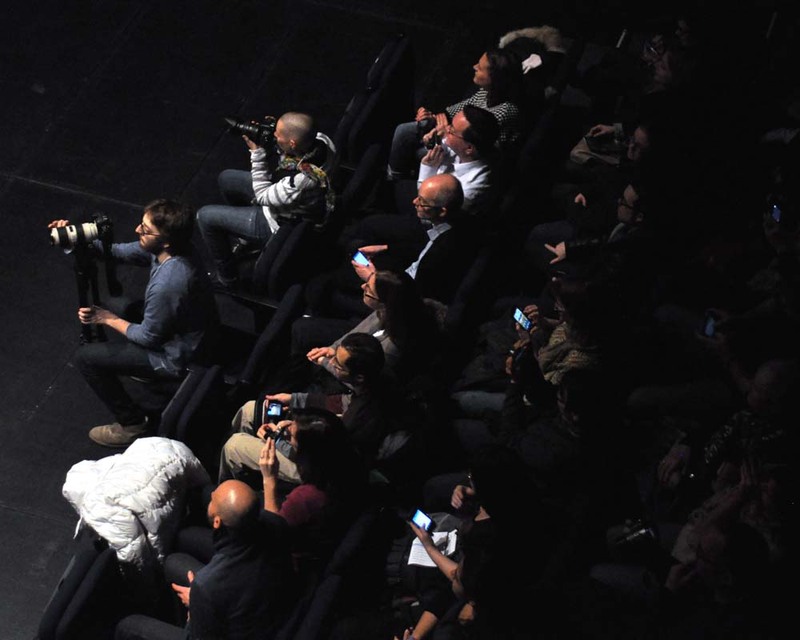 See more of the production after the jump.